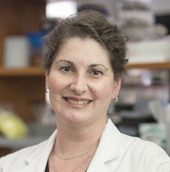 Ingrid Mayer, MD, MSCI, Ingram Professor of Cancer Research and leader of the Breast Cancer Research Program at Vanderbilt-Ingram Cancer Center (VICC), has been named a Komen Scholar for her leadership in breast cancer research. She is joined by Wayne Dornan, PhD, a patient research advocate at VICC, who will serve on the Advocates in Science Steering Committee for Susan G. Komen, the world’s largest breast cancer organization. Since its founding in 1982, Susan G. Komen has funded more than $956 million in research and provided $2.1 billion for screening, education, treatment and psychosocial support for patients and families in 60 countries. Mayer and Dornan are among 10 new members of the Komen Scholars advisory group chosen for their knowledge, leadership and contributions to breast cancer research. The Komen Scholars lead and participate as reviewers in Komen’s scientific peer review process and serve as experts for Komen’s nationwide network of affiliates around the globe. Mayer is leader of VICC’s Breast Cancer Specialized Program of Research Excellence (SPORE), a research grant program funded by the National Cancer Institute (NCI). She also has served as principal investigator for more than 80 clinical research trials for new therapies and frequently is invited to present her research findings at international cancer conferences. Her research has been focused on the identification of targetable pathways in breast cancer and mechanisms of resistance to breast cancer therapies, and have been funded by grants and awards from the NCI, SU2C/AACR, and the Breast Cancer Research Foundation (BCRF). Dornan, from Smyrna, Tennessee, is a former academic dean and clinical neuroscience expert who spent 35 years as a research academic. Specializing in research design and statistical analysis, he was a principal investigator on numerous Phase II and III clinical trials and was awarded more than $5 million in research grants for his work in neuroscience. He currently serves as a Cancer Research Advocate for the NCI and an Affiliate Advocate Member for the American Association for Cancer Research (AACR). 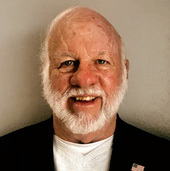 Dornan has become an active Susan G. Komen volunteer, serving in numerous roles ranging from lobbying efforts to patient/research advocacy as a member of the Komen Advocacy Advisory Taskforce (KAAT), and as a grant reviewer. In 2016, he was recognized as the Breast Cancer Survivor of the Year by the Central Tennessee Komen affiliate. “As a breast cancer survivor, I have a deep-rooted passion and connection with the Susan G. Komen mission of someday living in a world without breast cancer and will work relentlessly to play a major role in achieving this goal,” Dornan said.